Hance Dilbeck speaks at the National Baptist event in OKC. 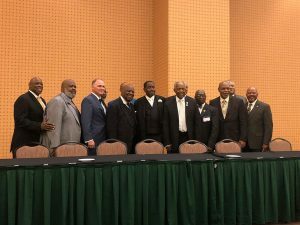 The 113th National Baptist Convention Congress of Christian Education met in Oklahoma City June 17-23, at the Cox Convention Center and in other locations across the metro. The last time the National Baptist Convention USA convened in Oklahoma City was 1991, when the downtown area featured only two hotels. Much has changed in the last 27 years and not just in hotel room capacity. Known as the largest predominantly African American Christian denomination, the National Baptist Convention USA represents 7.5 million people in 33,000 churches across the country, the Bahamas and Germany. 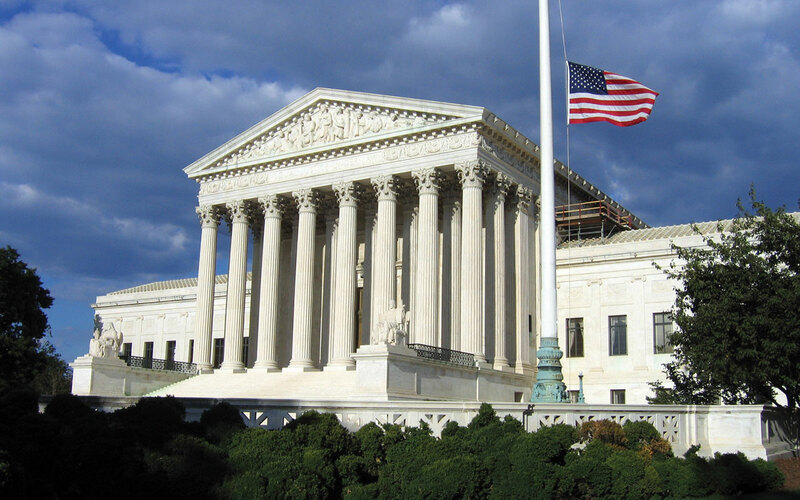 The week-long meeting in Oklahoma City was expected to draw thousands of attendees. 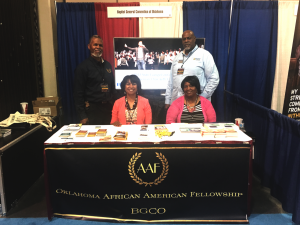 The Baptist General Convention of Oklahoma (BGCO) served as one of the host organizations of the conference. Hance Dilbeck, BGCO executive director-treasurer, spoke during the opening service of the conference. LeRon and Marlene West, at left, and Walter and Velma Wilson at the BGCO ministry booth. Along with offering personal greetings to many of the convention leaders, Dilbeck reflected on a sermon preached in 1949 by E.W. Perry when the Southern Baptist Convention (SBC) met in Oklahoma City. Dilbeck said Perry was the first black man to preach to the SBC. Dilbeck admitted his presence, 69 years later in the same city, at the invitation of the National Baptist Convention USA also bears witness to the Resurrection. 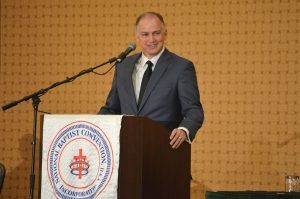 Dilbeck connects with National Baptist leaders. Dilbeck said he offered greetings from the SBC and from the 1,800 churches of the BGCO. “We appreciate your commitment to the Gospel. We admire your faithfulness to our Lord, and we anticipate an ever deepening fellowship in the years to come,” he said. Throughout the event, various ministry booths were on display. Walter Wilson, BGCO African American Ministries Consultant, who is pastor at Lawton, Friendship and is president of the 2019 Oklahoma Pastor’s Conference, connected with many who attended the convention. On Monday, Oklahoma African American Fellowship President LeRon West, who is pastor of Tulsa, Gilcrease Hills, received a recognition on behalf of the BGCO. The engraved award thanked the BGCO for its contribution and commitment to 113th meeting. The National Baptist Congress of Christian Education Annual Session is the education arm of the NBC, USA, Inc., and is responsible for teaching and training classes in every aspect of Christian education. 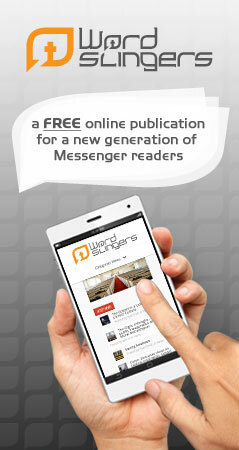 For more information, visit www.nationalbaptist.com.